As business and organizational environments become increasingly complex, it is critical that work initiatives are controlled effectively. Management need to ensure that the correct work is being performed throughout the entire lifecycle of a project. How many times have we encountered situations where project timeline and budget overruns have occurred? Furthermore, what happen when the reasons that motivated the selection of a project have altered - are projects set up to recognize that they must alter their requirements and deliverables in order to meet changing stakeholder needs. Effective management of these situations is achieved through the application of control mechanisms that include ongoing monitoring of project performance and effective governance structures that support clear reporting to senior decision makers. This interactive, applications-driven 5-day GLOMACS Professional Project Leader training course will prepare delegates to recognize the need for effective control mechanisms and also how to apply these mechanism using standard tools and techniques. This 5-day GLOMACS Professional Project Leader training course will enable delegates to appreciate the concept of project control through well-structured project management governance and to improve their ability to control their projects by learning how to apply effectively project management techniques. The facilitator will introduce each of the core topics using a lecture format. Presentations are supported by reinforcement exercises related to case studies in order to emphasize the application of theory in real-world project settings. Delegates explore the fundamentals of project management so that they may appreciate how a project management framework supports effective control processes. This GLOMACS Professional Project Leader training course then explores specific practices used to control a project throughout its lifecycle. Following attendance on the seminar, you are required to complete a review of the systems within your area of responsibility in respect of labour management and cost control. You should bear in mind the topics covered on the seminar. This should be accompanied by relevant facts and figures. This is an ILM Endorsed Course. Optional ILM Endorsed Certification carries an assessment component which contributes to measuring learning impact. 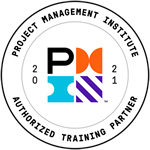 Project Management Institute (PMI)® has reviewed and approved GLOMACS as a Global Provider of project management training. This is a PMI® Approved/Registered training seminar and hence attendance to this training will enable those credentialed with PMI® to receive applicable PDUs upon updating their status with PMI®.